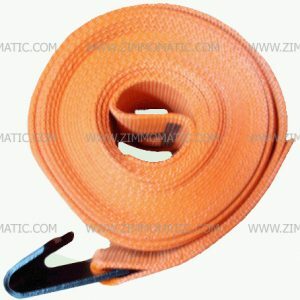 The 3/8″ x 20ft, like all our other load binder chains is made from grade 70 binder chain. 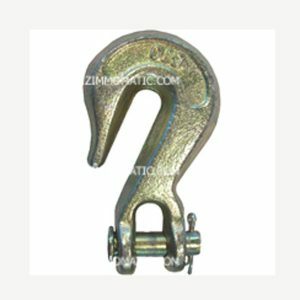 It comes with two clevis chain grab hooks which are also forged grade 70 steel. 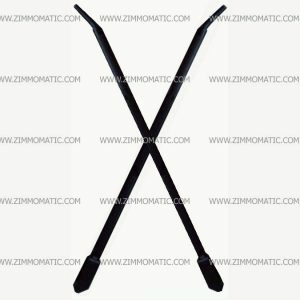 Feel the strength of real chain when you purchase a 3/8″ x 20ft. Hold your fears at bay and your load on the trailer with a chain capable of taking the demands you place on it. The binder chain, 3/8 inch x 20 feet, grade 70 demands your respect with its nearly-indestructible construction and its versatile strength. You can depend on its capability to hold any load you will ever transport. Never worry again about a load, no matter how large it may appear. With our binder chains, you can leave the worries behind and let the miles roll under your tires. Feel the peace of mind that good binder chains bring any flatbedder. 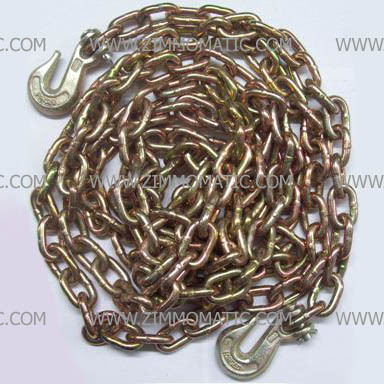 If you are interested in another length of 3/8″ chain, we stock 16ft, TSBC38X16, and 25ft also, TSBC38X25. We stock all three lengths in 5/16″ if you prefer a lighter-duty binder chain: 5/16″ x 16ft, TSBC516X16, x 20ft, TSBC516X20, and x 25ft, TSBC516X25.